A year after Europe stood on the brink of economic disaster, financial markets are calmer and the chances of the euro disintegrating have diminished. But the region's most powerful political leader warns that the economic environment will be tougher in 2013. In an address to mark the New Year, German Chancellor Angela Merkel said Monday that the sovereign debt crisis which threatened to tear the eurozone apart shows how important it is to strike a balance between prosperity and solidarity. "The reforms that we've introduced are beginning to have an impact," she said. "But we still need a lot of patience. The crisis is far from over." "I know that many people are naturally concerned going into the new year," Merkel added. "And in fact economic conditions will be more difficult rather than easier next year. But we shouldn't let that discourage us; on the contrary, it should spur us on." As Europe's biggest economy, Germany has shouldered much of the cost of bailing out weaker eurozone nations such as Greece, and establishing the region's permanent rescue fund, the European Stability Mechanism. Together with the European Central Bank's plan to buy the bonds of ailing eurozone nations, if they request an ESM bailout, Europe has given itself the tools to ward off collapse in the single currency zone for now. It has also taken the first steps toward closer integration with a single banking supervisor. In return, highly indebted eurozone states have committed themselves to spending cuts and tax increases. But the austerity drive has already helped tip the eurozone back into recession, and German growth has all but disappeared as a consequence. Economists warn that the 17-nation eurozone could contract further in 2013 as deficit-cutting measures bite deeper. Rising unemployment and falling tax receipts would make it harder for governments in countries such as Italy, Spain, Greece and even France to meet their budget targets. That could unsettle financial markets again, particularly in countries where political instability is adding to the uncertainty. Italy has elections in February, and the outcome will determine whether Europe's second most heavily indebted nation after Greece will continue with reforms started by outgoing Prime Minister Mario Monti. In a report this month, the International Monetary Fund said it was expecting France to miss its 2013 target to keep debt at 3% of GDP, down from 4.5% in 2012, because of a more conservative growth forecast. It said the target was crucial to preserving market confidence and advised that "contingency measures" be prepared. Merkel faces an election in September. 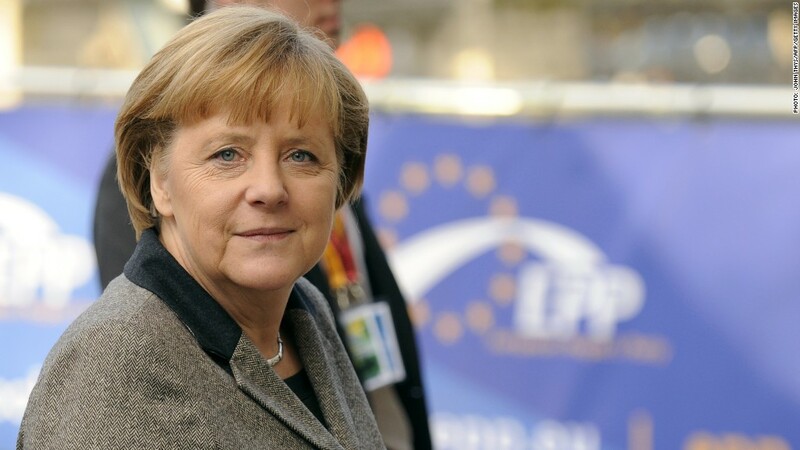 The cost of European bailouts and slowing growth worry many Germans, but she has won support for steering Europe through its most challenging crisis in 60 years and her party has a clear lead in opinion polls. However, a third term in office might depend on whether there's a flare up in the eurozone crisis that presents Germany with another bill, a risk that some analysts say hasn't gone away because weaker states won't be able to cut their way back to prosperity. "They will be living on a drip-feed, life-support system of bailouts for as long as the euro system continues in its present form," wrote Tim Morgan of brokerage firm Tullet Prebon earlier this month.